Beware! 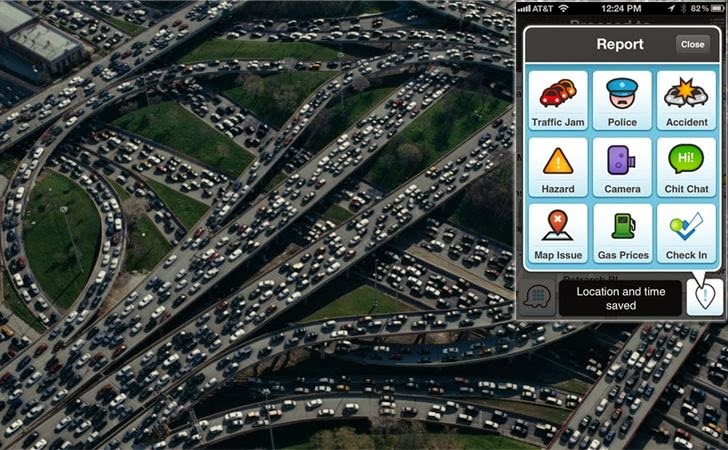 Hackers can cause Traffic jams with just a navigation Smartphone application. Two Israeli students were assigned by college to hack Google-owned Waze GPS app, an Israeli-made Smartphone app that provides directions and alerts drivers to traffic and accidents. Shir Yadid and Meital Ben-Sinai, fourth-year students at Technion-Israel Institute of Technology, with the help of two advisers created a virtual program that successfully caused the popular navigation application Waze to report fake traffic jams, Haaretz reported. They successfully launched a demo cyber attack against the popular navigation app, with no evil intention to cause any damage to the app, instead it was a simple assignment handed over to these students to demonstrate up to what a malicious hacker could do by creating a fake traffic jam on any popular app, like Waze that provides real-time traffic updates and notifications to users on the road. To carry out their project, the students created and used a virtual program that enacted Smartphones and registered thousands of fake Waze users with false GPS coordinates. Then this army of fake users crowdsourced false road conditions to the app claiming to be stuck in traffic jam at the false GPS coordinates, potentially causing scramble. Doctoral student Nimrod Partush came up with an idea a year back after being stuck in a traffic jam with Professor Eran Yahav, who is one of the advisors of this project. "I told Eran that had we made Waze inform drivers about a traffic jam on the Coastal Highway before we set out, the application would have diverted drivers to Route 4, and we could have driven to Tel Aviv along the Coastal Highway with no traffic jams," said Partush, in an interview with Haaretz. The smartness of the white hat hackers, despite redirecting users, the hack didn’t affect the infrastructure or traffic lights, like an accident. Instead, it took benefit of a popular navigation app and fooled users. The students and their advisors, in the white hat style, informed Waze of the attack and submitted the demonstration report to help them improve their app and prevent similar hacks in the future. Waze navigation app for Smartphones is widely used in Israel and was so popular that last summer Google bought it for $1 billion.